Sarah was shocked to discover a pair of pantyhose in her husband Jeff’s sock drawer. Her alarm turned to puzzlement when she noticed something very unusual about them. They had a fly opening in front. When she confronted him, Jeff reluctantly acknowledged that they were his, and he’d been wearing them because of nagging pain in his legs at the end of his shift as a short order cook. Since the problem was not severe, his doctor had recommended support socks, or a trip to the ladies hosiery section to get some support pantyhose to alleviate the discomfort. One of his co-workers told him of a company that sells support legwear made exclusively for men. “Well that’s just great” thought Sarah, “but what are my friends going to think when they find out my husband wears pantyhose? I imagine they’ll think I’m married to some sort of cross dresser.” Jeff didn’t help matters much later, when he started wearing them with shorts during the warm months. The reality is, the fear is imaginary. 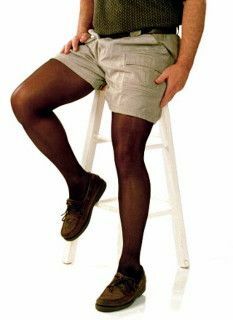 When legwear made for men first started to appear in 1999, the public perception of men wearing nylons tended overwhelmingly toward negative connotations of cross dressing or other undesirable behaviors. Through a concerted advocacy and education program, companies such as Ohio-based ActivSkin® have changed that considerably for the better. Now, when people notice the guy across the aisle from them is wearing nylon hosiery, their first thoughts tend more toward assuming there must be a health-related reason, or something along those lines. One of the tag lines used by ActivSkin is: "We're working to change hearts & minds: From Pantyhose... to MANTYHOSE"
﻿ Men have in fact begun to recognize there are certain practical benefits to be found in nylon support hosiery. It improves blood circulation in the legs, benefiting those suffering from chronic aching and cramping; helps improve stamina in athletics; reduces chafing for horseback riders; adds warmth-without-bulk for outdoor runners and bicyclists; and provides a great base layer for hunters, campers and skiers in cold climates. Knowing these things in her head often isn’t much help in alleviating a woman’s fears, though. Women are often strongly motivated by desire for safety and security. They worry over loss of home, financial security, social standing—and in her mind, these things could be jeopardized if her husband—the primary breadwinner in many families—were to lose status due to concern of others over whether wearing nylons is a sign of deeper issues. Guys now tend to take a much more pragmatic approach to things like this. Instead of worrying over, “isn’t that for girls?” they ask, “does it help/does it work?” Women have rarely had similar qualms over making good use of “men’s” things, as anyone who has lost a pair of boxers or a good flannel shirt to a girlfriend can attest. Now, men are becoming secure enough in their masculinity to turn the tables and transform certain items—like support hosiery—from feminine to unisex. to see them worn w/shorts. 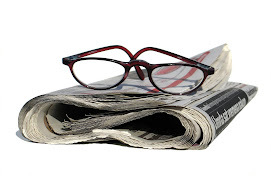 ﻿ Increasingly, TV, print and online media are documenting the trend of men availing themselves of a variety of ‘mancessories’—products traditionally associated with women that men have begun to co-opt for themselves. A recent TIME Magazine Online Edition featured a photo essay that included the following examples: ACTIVSKIN’s ‘mantyhose’, ‘guyliner’, men’s sandals, the man-bag, and capri pants. Far from signaling a feminization of the American male, these trends suggest a growth into a more authentic masculinity—one that is based not on superficial posturing, but instead on a high degree of confidence in one’s masculinity. 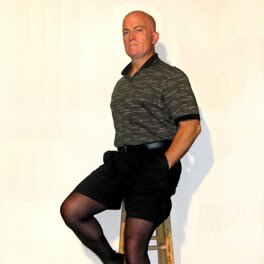 It does indeed take a confident man to don a pair of support hose before going out. But today’s male is realizing that his masculinity is better measured by how well he cares for his family than what he’s wearing on his legs. So, ladies, if you've started seeing nylons that aren’t yours hanging over the shower rod, don’t be too quick to head home to mother. They’re most likely ActivSkins, or another male brand, and your guy’s simply being proactive with his leg health. And, if his complaints of constantly aching, tired legs are getting on your nerves, maybe you should buy him a pair of mantyhose next Father’s Day.